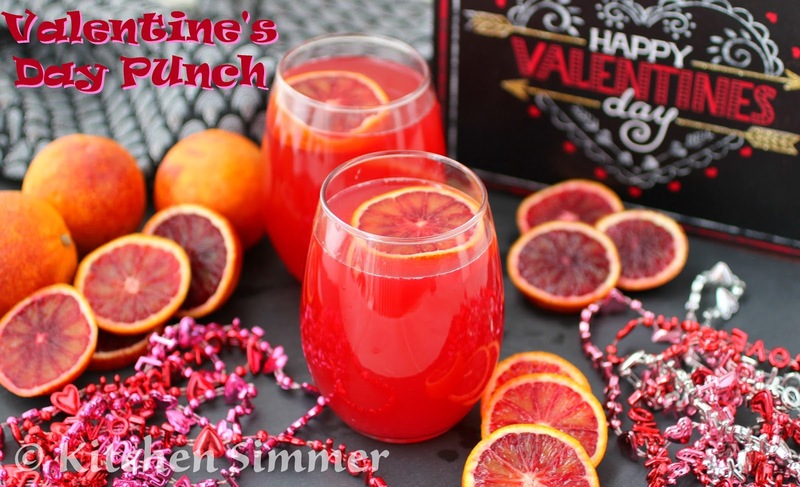 This fruity non-alcoholic punch is a perfect way for the whole family to toast Valentine's Day. These days, I don't just have one Valentine to celebrate with... I have have three. My two kids are definitely into celebrating Valentine's Day so I made a non-alcoholic punch for the whole family to enjoy. This punch comes together in a few minutes and it's so festive and tasty. Happy Valentine's Day... I hope you have a sweet time with your loved ones! Chill all ingredients first before use. Then mix all ingredients together in a punch bowl or large pitcher and garnish with orange slice. Serve chilled. Enjoy. 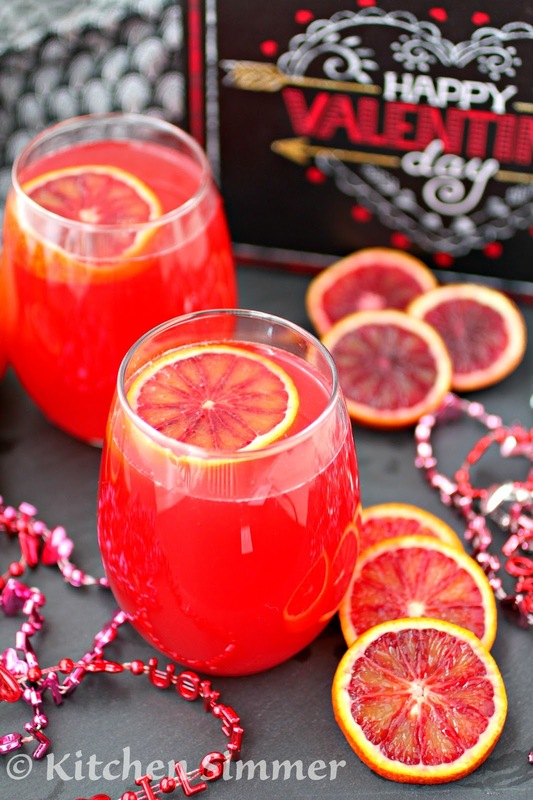 Perfect and refreshing for Valentine's day! So loving the color of this and yay - it's non alcoholic - Happy V-day to you and your family, Ramona! 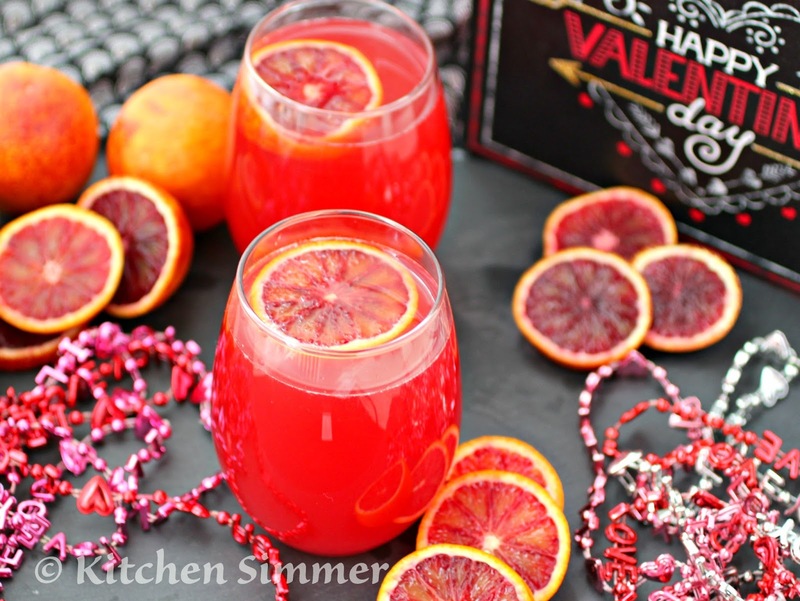 I am totally in love with blood oranges and I know I will love this. Happy Valentine's Day! This place is so special! Speaking of special, this is how our evening went. I met my buddies in the downstairs part of party venue, which is more than just an average kind of bar with a lot of woodwork. We get delight from your site and discover basically your post's to be precisely what I am attempting to discover. will someone exceptionally supply visitor planners to make content for you? I would not mind setting up a post or expounding on some this issue subject material you compose identified with here. Once more, terrific weblog!